The Charles is greener than when I left it 11 days ago, and peaceful on my return. It was a very long way home from Ardeche back to Paris back to Boston, and today, what there was of my walk was very short, from house to river. Peonies I planted two years ago, bright purpling bulbs, are a cheerful welcome; my father's favorite, planted in his memory. Oh! 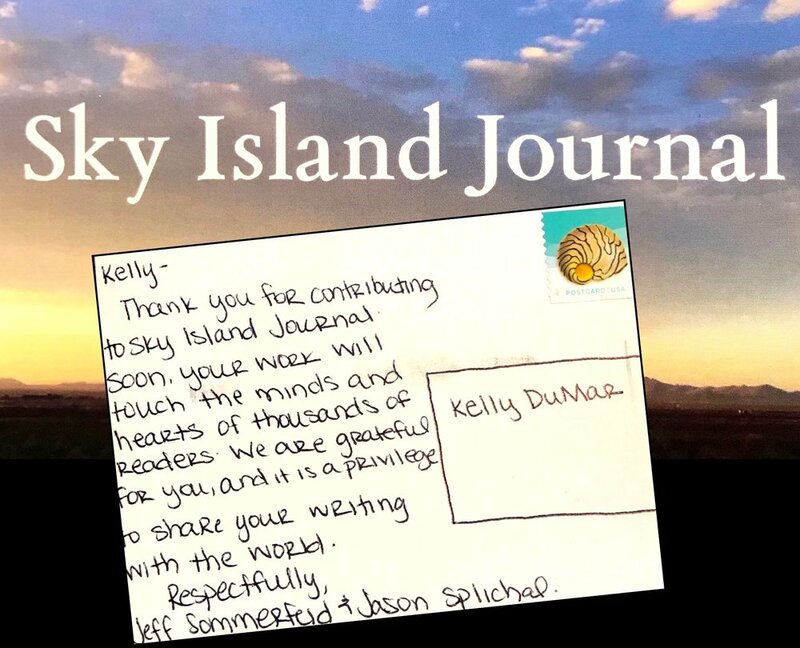 And a sweet post card came in the mail from Sky Island Journal, handwritten from the editors. They will publish my poem, "Samara," inspired by the maple wings that twirl from branch to earth each year in the spring. Sky Island is based in New Mexico, and because New Mexico is a landscape I love, I sent it to them when I saw their submission call. I sent it quite a few other places as well, but Sky Island replied first - they wanted "Samara" with passion and enthusiasm; they told me exactly why they loved it, with specificity and admiration. It makes me so glad that this poem I wrote with such honesty, which came as such a surprise, has found such an appreciate home – in a sky island.